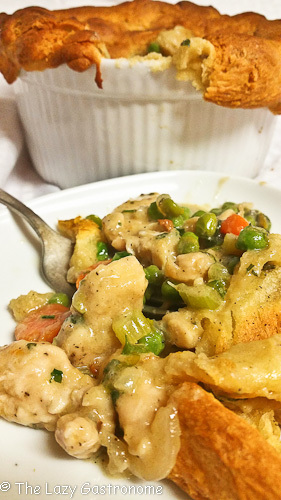 I love chicken pot pie and nothing says comfort more than one that is homemade, but I really don’t like making dough! 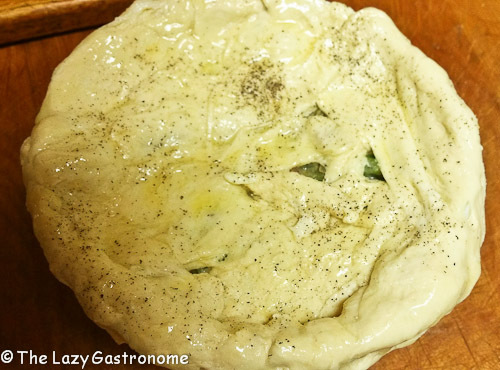 So I use refrigerator dough! 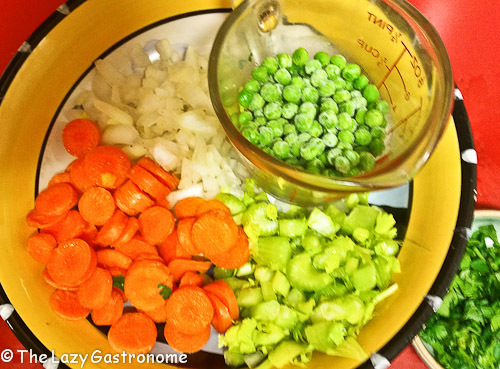 Cut up the vegetables and the garlic and set them aside. 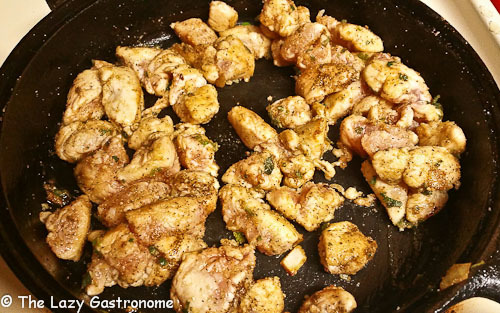 Mix the flour, salt, pepper and sage and toss in the chicken, making sure it’s well coated. Heat the oil in a skillet. 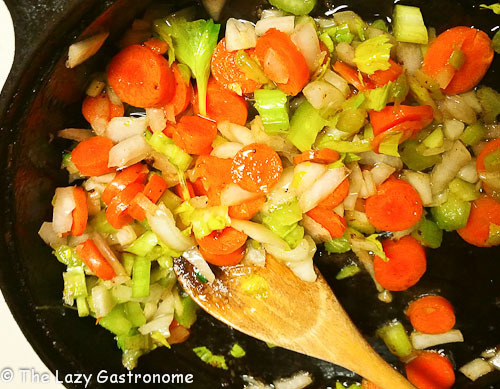 Add the carrots, celery, onions and garlic and gently sauté until the carrots are al dente (slightly tender) and onions are beginning to look translucent. Mix in the peas and cook gently for about one more minute. 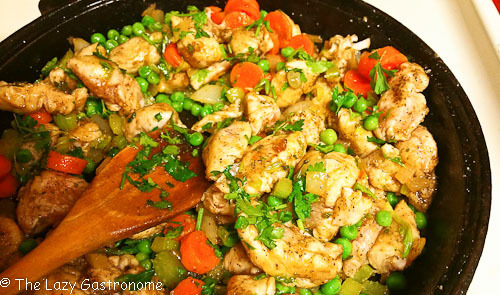 Remove the veggies from the pan and set aside. Melt 1 Tablespoon butter in the pan on low. 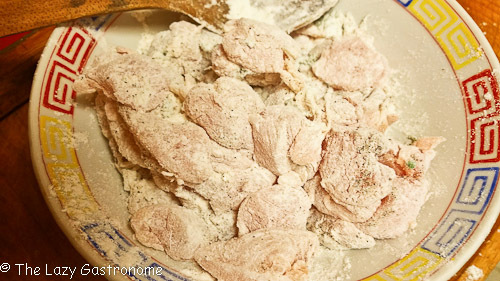 Add the chicken and cook, stirring constantly, until it is lightly brown and all the flour is beginning to stick to the meat. (This is the roux for the gravy). Add the vegetables to the pan and mix well. Stir in the milk and simmer until it all starts to thicken. Open the crescent rolls. On a board, spread 4 of the rolls out to be the topping. Spread the other four around the inside of a 1-quart baking dish, (The tall soufflé type dish works great) making sure that there are little bits rolled over the top. Pour the meat and vegetable mixture into the pan. Lay the sheet of crescent dough over the pan and squeeze around the edges so it seals with those around the inside edge. Don’t worry about tears on the top – there needs to be some to vent the steam. Melt the remaining butter and brush on the top of the dough. Sprinkle with just a pinch of black pepper. Place the dish on a cookie sheet and back at 300 degrees until the top is golden brown and you can see some gravy bubbling through. NOTE: For more servings or larger portions, simply double or triple the recipe! 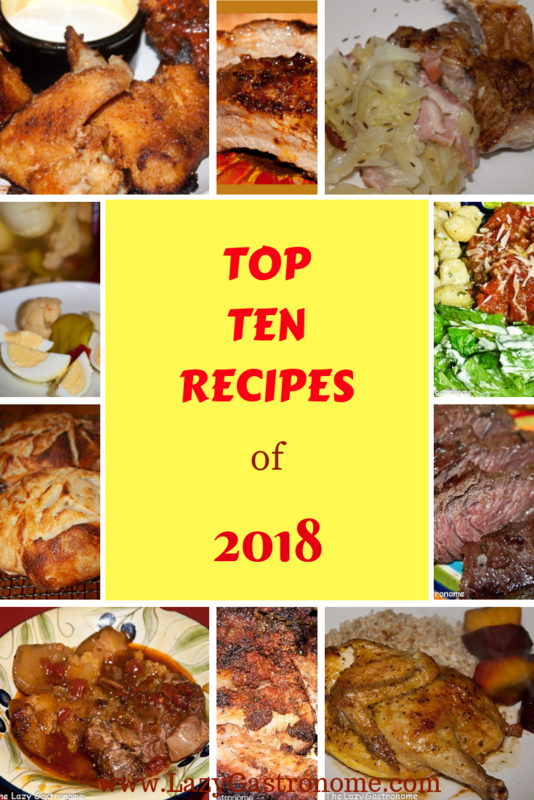 Below are some great casserole dishes you can use to create this recipe! 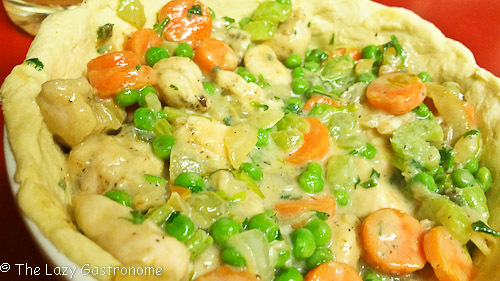 This entry was posted in Chicken, Main dish, Stew and tagged chicken, comfort, comfort food, dinner, one dish, pot pie. Bookmark the permalink. The recipe is easy to follow. 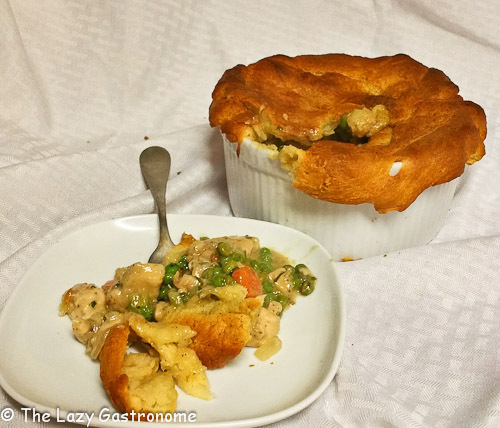 The picture of the cooked pot pie makes me want to make one when the weather is cold. 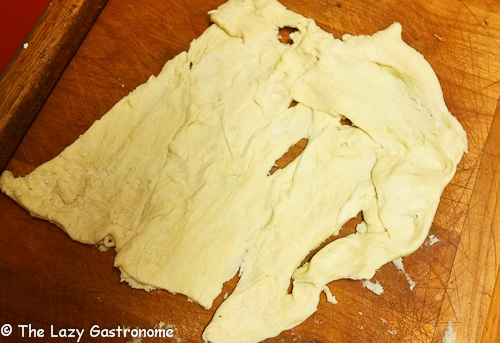 The idea of using crescent roll dough is very useful. Saves time nicely, and those crescent rolls puff up nicely. Makes it pretty easy and delicious!! Thanks for stopping by! I’ll have to try this using the crescent rolls — I’ve done a similar with store bought pie dough, which is pretty expensive. Recipe looks delicious and easy too. Yum! Thanks for the tips! 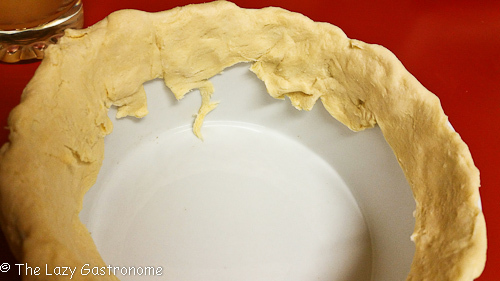 crescent rolls are flakier and lighter than pie dough – and so much easier to work with! Yummy. 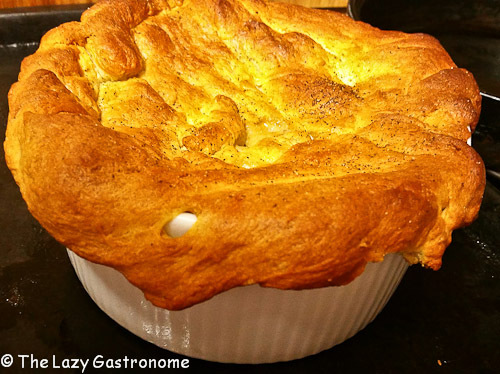 This is my favourite comfort food but I’ve never used crescent rolls when making it. Will certainly be using them next time. Thanks for the recipe. I’m visiting from the Really Crafty Link party. There are so many things you can do with crescent rolls!! Thanks for stopping by! I love chicken pot pie. The detail of the crescent rolls sounds wonderful. Thanks Teresa – and thanks for stopping by!